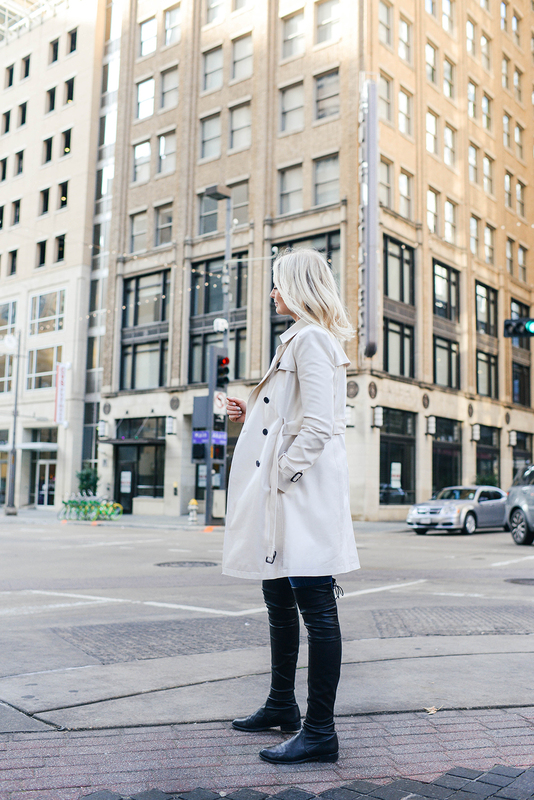 There’s nothing more classic than a trench coat, am I right? At this point I’ve got a pretty good collection of them, from Burberry to A.L.C. to Club Monaco – but I can always use more. Especially with all the rain we’ve been having lately!! I love how effortlessly each trench ties all of my outfits together. I just love throwing them over tees or sweaters with jeans! 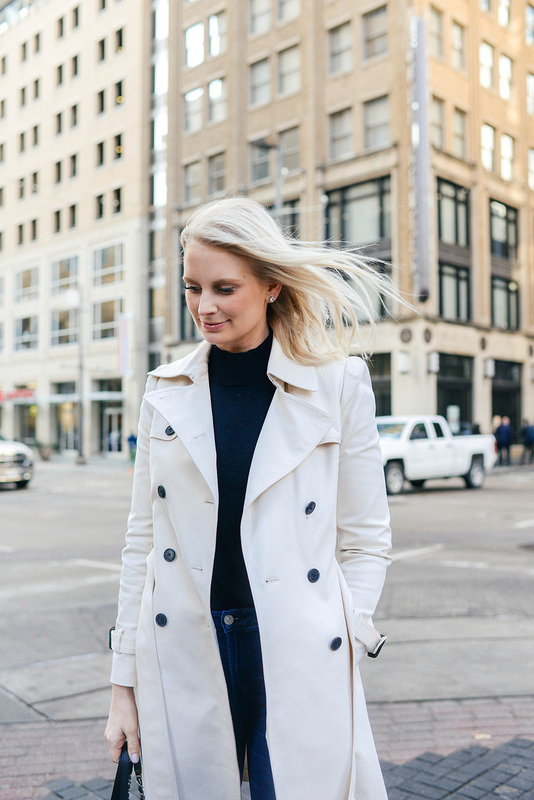 I nearly always take one when I travel, as they’re super versatile and can be worn with just about anything, and add a light layer for chillier days. 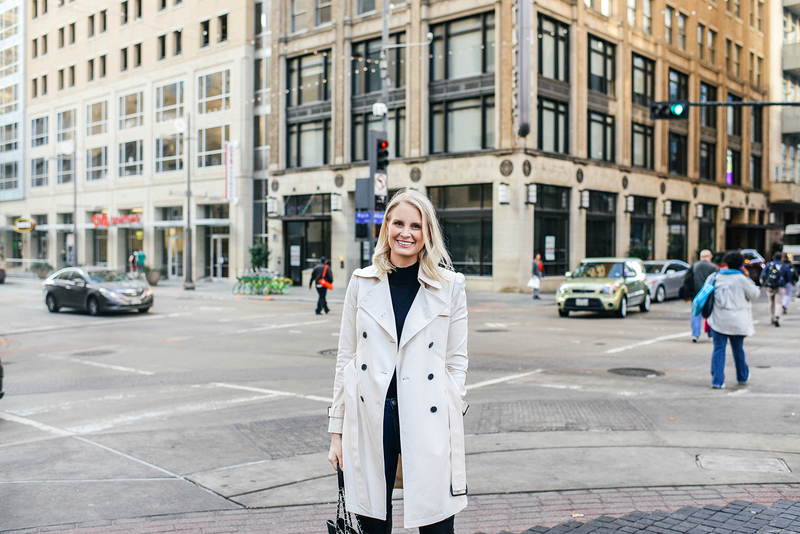 This trench is one I picked up from Club Monaco around this time last year, but they came out with a nearly identical style this season that just so happens to be part of the Shopbop sale going on right now! Get up to 25% off your order when you enter promo code GOBIG18 at checkout. Over the next few days I’ll be rounding up some of my favorite finds from the sale in various collages over on my profile in the LIKEtoKNOW.it app, so make sure you’ve downloaded it to your phone and are following me! 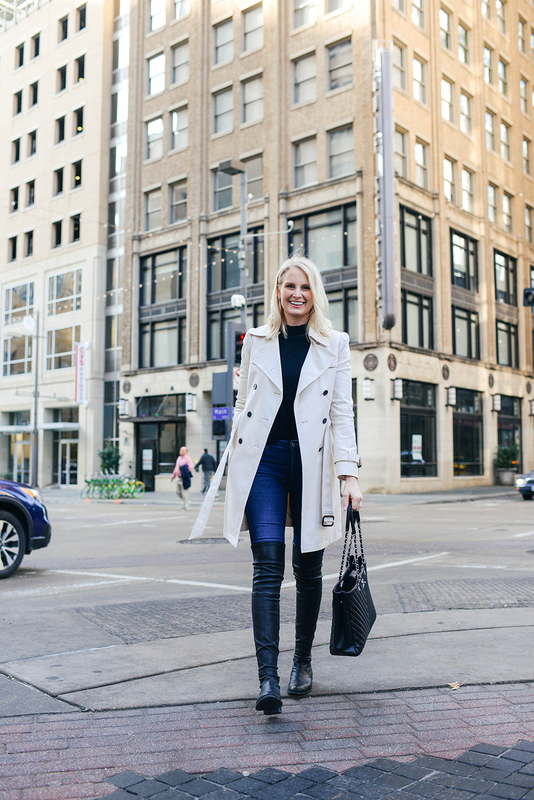 PS – my favorite blue jeans that I literally wear every day are also part of the sale… amazing! So are the boots I’m wearing in black suede and my faux diamond studs! WINNING. 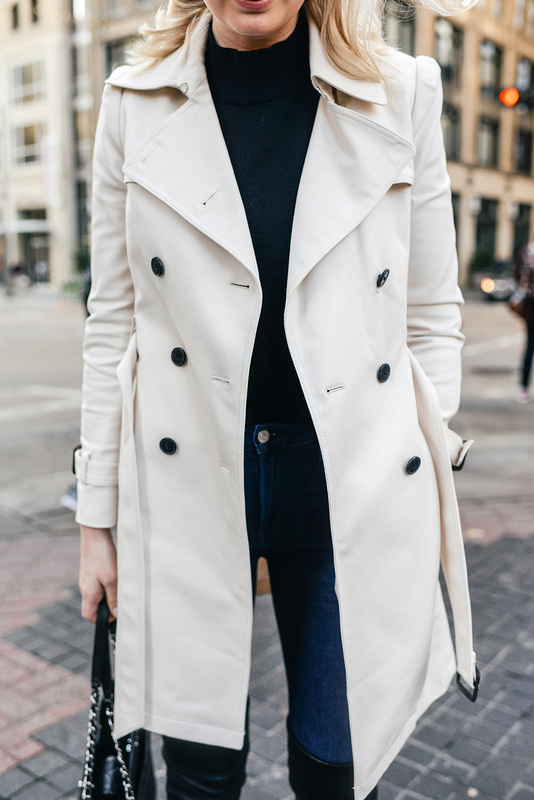 Love this classic look, this trench is stunning.